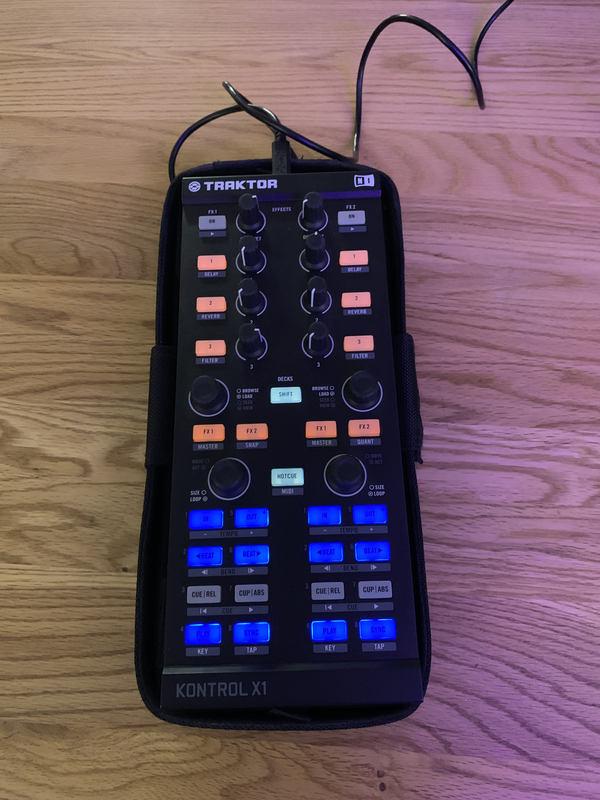 JimboSpins's review"Works with any software as a controller"
The Native Instruments Traktor Kontrol X1 is a hardware controller that is to be used with Traktor but it can also be used with pretty much any DJ software. 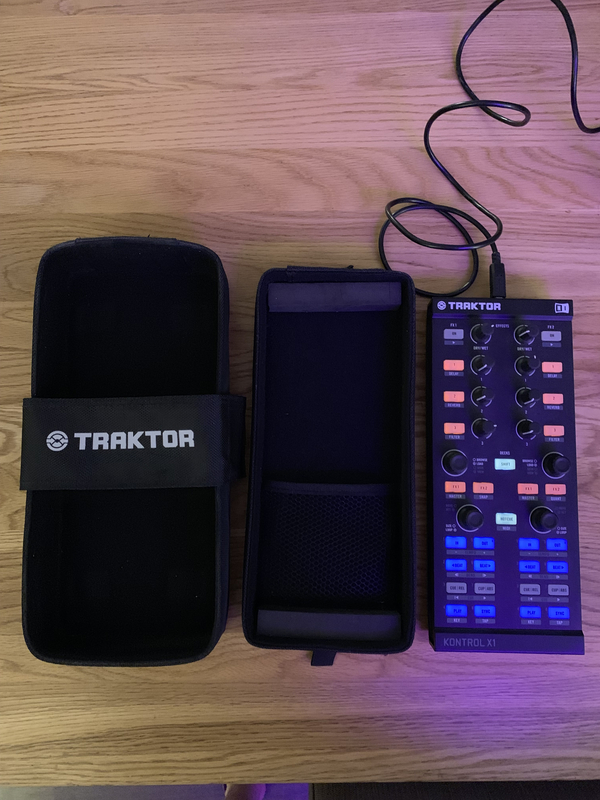 A have only used it with two different applications but I prefer to just use it with Traktor. This unit is very small and light, it doesn’t take up much desktop space nor can it be racked. There are no built in effects and it cannot be used as a stand alone mixer. It is simply a controller. It comes with Traktor LE, so you can easily manage and work with all digital music. It is easy to use and set up. I had it up and running within just a few minutes of opening the box. It has never caused any issues when using it with Traktor either. Traktor is not my favorite software to use but it is one of the easiest to work with in my opinion. There are back lit LED buttons and encoders on this unit. There are a total of 8 knobs and 8 buttons that will allow you to control up to 3 different effects per deck. 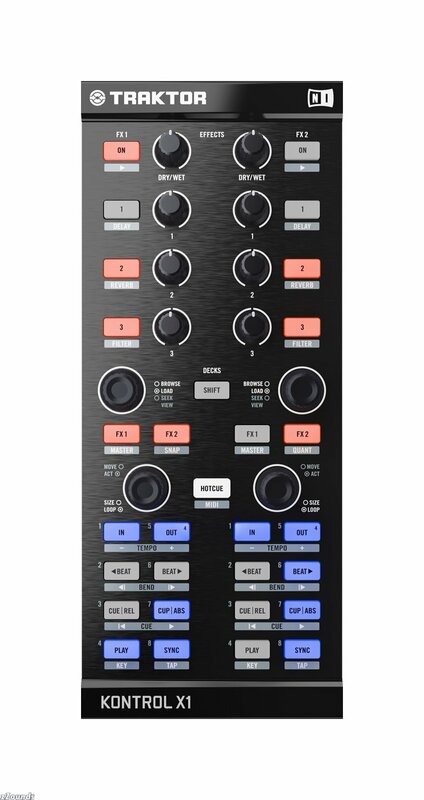 I mainly use this unit as a MIDI controller to control many functions in Traktor and FL Studio when I am using it live. Being that this unit is so inexpensive I had no problem purchasing it alone with other units that are similar. I do not use it to work with live as much but I do a lot of work on it at home. 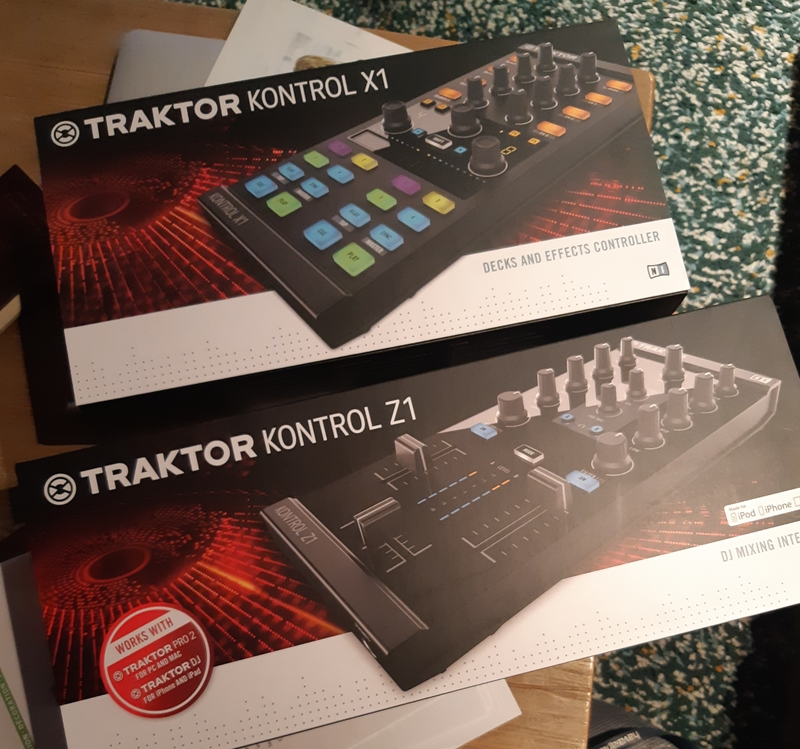 When I purchased the Traktor Kontrol X1 it came with Kore Player 2 which is already free anyways and can be downloaded online. It is like a VST plug in that has sounds and presets in it. 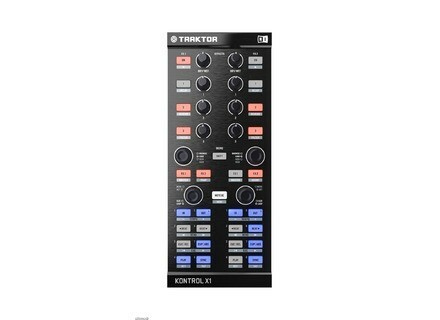 The X1 by Traktor is not the best controller that native Instruments makes but it is very affordable and worth the money spent. It is well made, and all of the buttons and knobs are built well for this price. Wobble Kurtz's review (This content has been automatically translated from French)" Indispensable!" The most direct route its implementation, configuration, ease of use. The value for money is good and yes with the experience I remake this choice without hesitation. tews's review (This content has been automatically translated from French)" Honey!" This is a very good complement to traktor scratch and turntables. We quickly took his bearings and buttons fall quickly under the fingers. So I started with the Behringer BCD2000 (no comment ...), then a Hercules I do not know what (a toy). 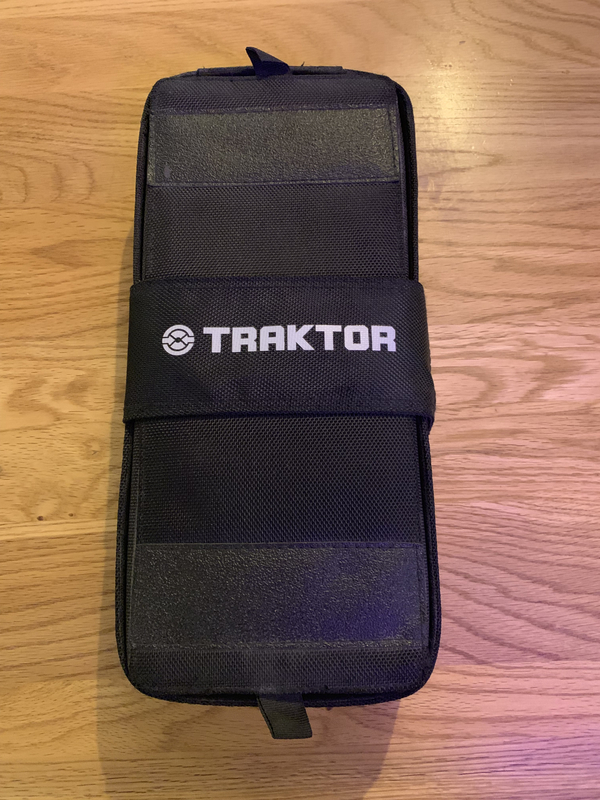 I have forsaken the controllers and dedicated myself to traktor scratch. Then a friend bought the S4 and tickled my neurons. I took the plunge and I do not regret the contrary. Native Instruments launches a new Traktor Kontrol Stand for their Traktor Kontrol F1 and X1 controllers.